Front row (left to right): 1. Micky Evans (#15), 2. Stan Preftokis (#4), 3. Patrick Flynn (#3), 4. Chuck Seaborg (#6). 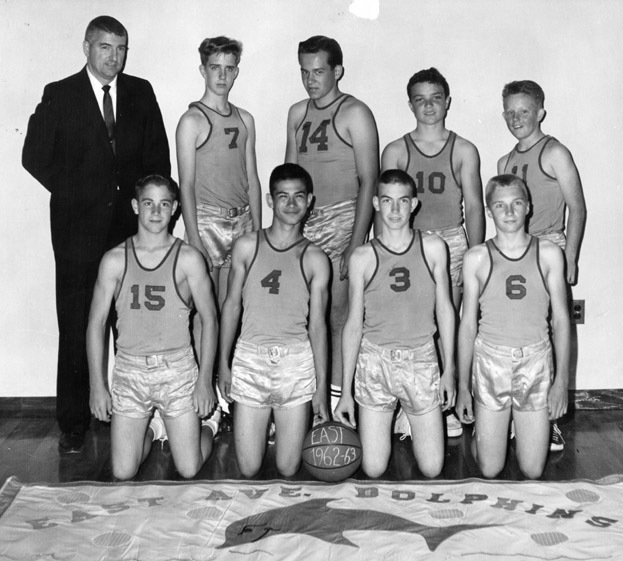 Second row: 1. unidentified coach, 2. Roger Good (#7), 3. Max Eckert (#14), 4. Tim Vargas (#10), 5. Tom Wade. Credits: From the collection of Mr. DePaoli.